Welcome to my Hue food guide! If you love Vietnamese food, you will love Hue. This peaceful, ancient city in central Vietnam has a distinctive cuisine, a ton of great restaurants, and some seriously unique dishes. 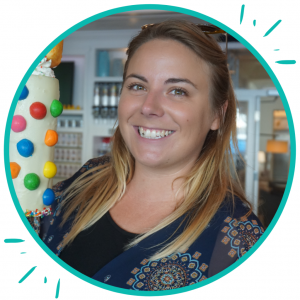 It’s one of my favourite foodie destinations in the world, and there’s so much to discover. 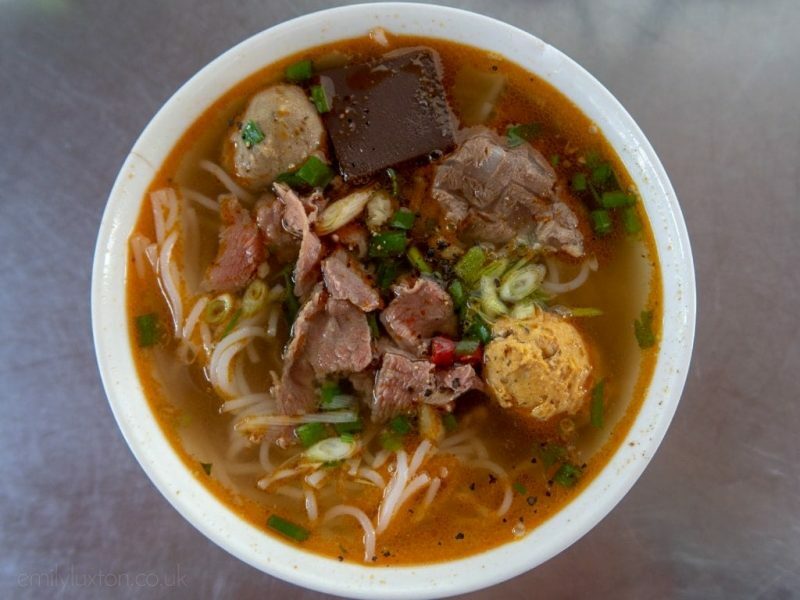 Bun Bo Hue is the most famous dish in the city, and should be top of any Hue food guide! 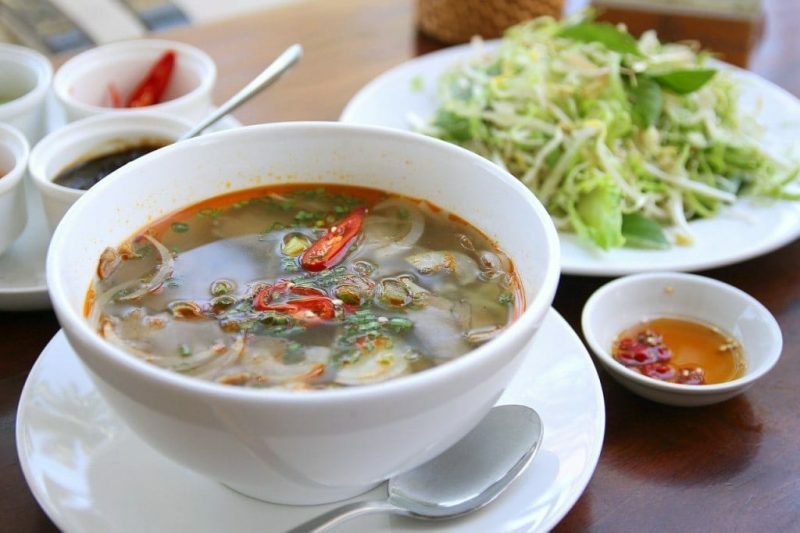 It’s similar to the more famous Vietnamese noodle soup, Pho. But Bun Bo Hue is quite a bit spicier, and it’s also pretty unique! It’s made from a light, spicy broth heavily fragranced with lemongrass. Inside, you have sliced beef, vermicelli noodles, and crab balls. The Bun Bo Hue at Quan Cam includes congealed pigs blood and offal meatballs! Every restaurant has it’s own variation of the recipe, and many also add in offal meatballs, or cubes of congealed pig’s blood. These extras are a bit of an aquired taste, but the resulting flavours are amazing. If you’re in town for a while, try to sample the dish in a few different places to get some different varieties. 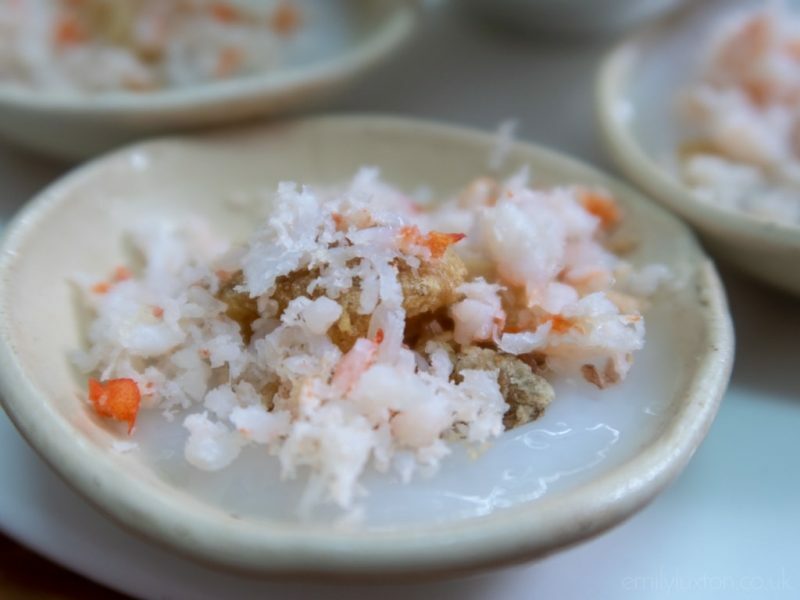 Banh Beo are one of the three “cakes” of Hue Royal Cuisine. They are also not the most appetising looking things, but don’t let appearances fool you. The circular, savoury cakes are made from a rice flour batter that looks like an opague jelly. They’re served in tiny bowls, topped with shrimp flakes, crispy pork skin, and chilli sauce, and they’re absolutely delicious! Where to Try: Hang Me Me, or Ba Do. Banh Beo topped with shrimp flakes and crispy pork skin! If you’re a big fan of Vietnamese cuisine, chances are you’ve heard of Banh Xeo. The Vietnamese savoury pancake is a well known dish, but did you know that it’s possibly a variation of a popular Hue food? Bánh Khoái is the Hue pancake – very similar to Ban Xeo, but with a few differences. I tried it last time I was in Hue, and couldn’t wait to get back to have it again! Hue crispy pancake with shrimp, egg, and pork. Banh Khoái is a crispy pancake filled with shrimp, pork, egg and beansprouts. There’s also a unique way to eat the Hue pancake. You tear it into strips, place them onto rice paper with some fresh veggies, and wrap them as you would a spring roll. Next, you dunk the pancake-roll into a special sauce. The dipping sauce is unique to Hue, and is usually made from soy sauce, pork, peanuts, and sesame – although every restaurant seems to have their own version. Bun Thit Nuong, or grilled pork noodle, is popular all over Vietnam, but again the Hue version is slightly different. The pork is marinated in salt, sugar, pepper, and lemongrass, then grilled over charcoal. It’s served cold with cold rice noodles, green herbs, fresh salad, pickled green papya, and fried peanuts. In Hue, the dish is also served with a special peanut sauce which is unique to the city. You won’t find bun thit nuong like it anywhere else in Vietnam! Bun Thit Nuong, or grilled pork noodle. Another unique Hue food that every visitor needs to try is New Lui; lemongrass skewers. This simple finger food is made from flavoured ground pork, which is made into a sausage-like shape. The pork is then skewered onto stalks of lemongrass and grilled. New lui is usually served with rice paper and fresh salad, so you can wrap it like a spring roll to eat. New Lui – pork and lemongrass skewers. Cơm hến is another popular dish that originated in Hue. It began life as a peasant’s dish, made to use up leftover rice, but became well known for it’s intricate flavours and is now a popular Hue food. Baby mussels, clams, and clam broth are combined with fried pork fat, roasted peanuts, crispy rice crackers, chilli peppers, star fruit, and shrimp sauce. The result is an interesting balance of sweet, salty, sour and spice. It’s served with room-temperature rice and herbs such as mint and Vietnamese coriander. 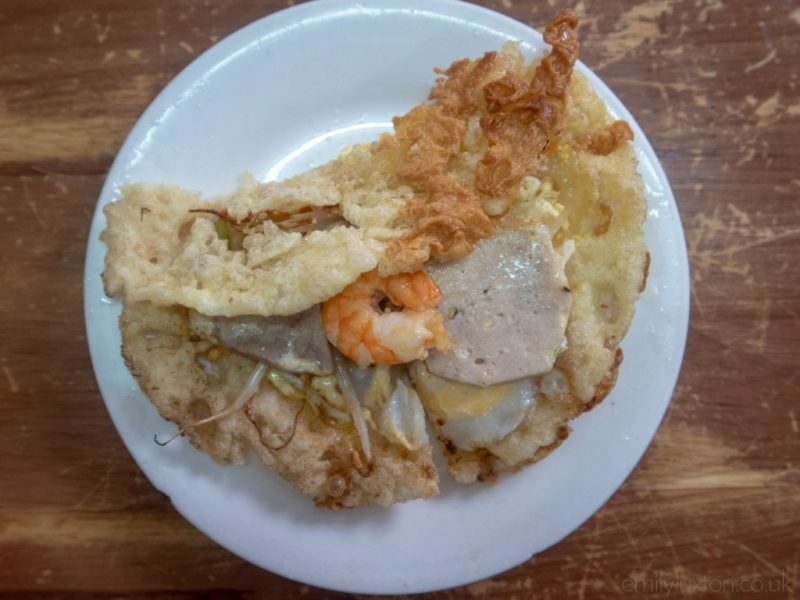 Banh Ep is another savoury pancake from Hue. In fact, it comes from the bech town of Thuan An in the east of Hue. A very thin pancake made from tapioca flour batter, banh ep is normally topped with egg, scallions, and minced marinated meat or dried beef. Along with Banh Beo, there are two more kinds of savoury cake found in Hue food: Banh Khot and Banh Loc. Banh khot are similar in appearance to banh beo, but these mini pancakes are crispy. The batter is made from tapioca flour and coconut milk, and the pancakes are topped with shrimp and diced green onions. Banh Khot – like Banh Beo, but crispy! Banh Loc are more of a dumpling than a pancake, made from a clear, chewy tapioca batter. The dumplings are usually filled with shrimp and pork belly, and they’re topped with fried shallots, with sweet chilli fish sauce to serve. Banh loc are shrimp and pork dumplings! Banh nam dumplings are similar to banh loc, but made from a rice flour batter. Like much of Hue’s cuisine, they were originally invented to serve the emporers in the Imperial City. Rice flour batter is spread onto a banana leaf with ground shrimp, scallions, and sometimes pork. These flat dumplings are wrapped in a banana leaf and steamed. Banh Nam and chilli dipping sauce. Banh trang trung is a relatively new Hue food. The so-called Vietnamese pizza is a popular street food dish, especially with younger locals. It’s made from a circle of rice paper, topped with a variety of ingredients such as egg, ground meat, spring onions, and cheese. The “pizza” is then grilled over charcoal. Banh trang nuong or banh trang trung – the Vietnamese pizza! Gỏi cuốn are the famous Vietnamese fresh rice noodle rolls, and are by no means unique to Hue. However, the old capital puts it’s own stamp on the dish. Hue spring rolls often contain sweet potato, which is one of the region’s most popular ingredients. They are also often served with the peanut dipping sauce which is so common amongst Hue’s cuisine. Vietnamese spring rolls and Hue dipping sauce. One more Hue food speciality is the lesser-known dish called banh ram it. Fried sticky rice cakes, called banh it tran, are popular throughout Central Vietnam. Banh ram it are a very similar dish; fried sticky rice dumplings filled with shrimp, pork belly, and bean paste. But they’re served on crispy, fried dough circles for an extra crunchy texture. One of my favourite foody discoveries in Hue was ca phe muoi; salty coffee! It sounds gross, but don’t be put off. This is such a tasty coffee drink. Ca phe sua is Vietnamese drip coffee served with sweetened condensed milk. At Hue coffee shop Ca Phe Muoi, they add a little salt to the milk to offset the sweetness. Think salted caramel; the coffee doesn’t taste salty, but it’s not too sweet either. Hue salty coffee is a must-try when you’re in the city – and with two branches it’s easy to find the coffee shop. Where to Try: Ca Phe Muoi has two locations in Hue, at 142 Đặng Thái Thân and 10 Đường Nguyễn Lương Bằng. Be sure to try the salt coffee when you’re in Hue – and let me know what you think! One of the best places to try Bun Bo Hue! Quan Cam is a super casual eatery that’s VERY popular with locals – there’s a queue most mornings. But the wait is worth it for a tasty bowl of hot noodle soup. This is a great place to try a variety of local dishes. Quan Hanh offer a reasonably priced tasting menu featuring many of the Hue food dishes you need to try. For 120,000 VND (around £4) per person you can try banh beo, banh khoai, nem lui, grilled pork noodles, and spring rolls. 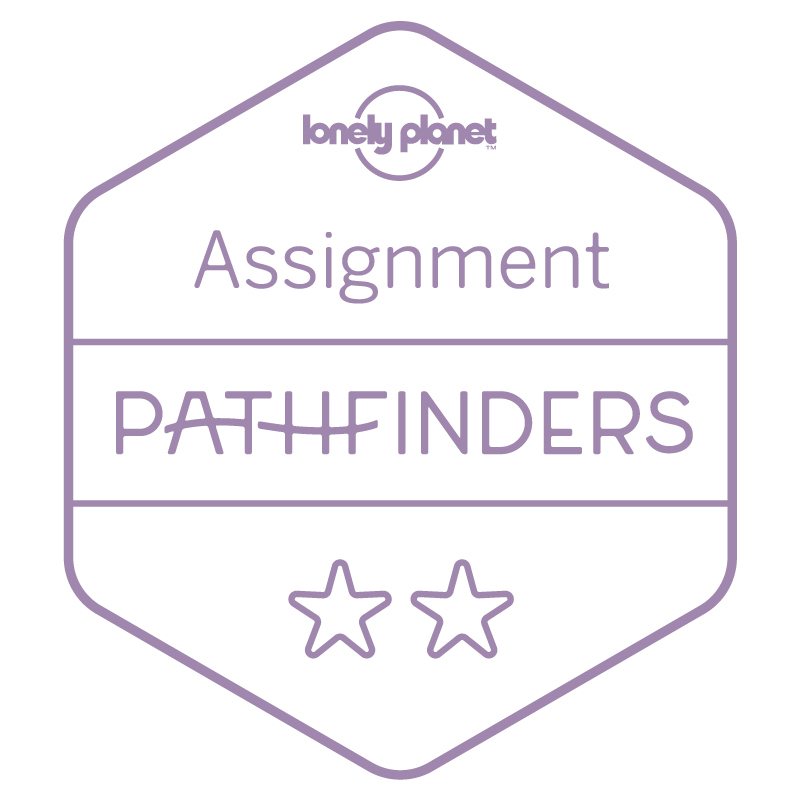 This was recommended by 2 Food Trippers in their guide to Central Vietnamese cuisine – which I studied religiously during my trip as I trust them implicitely when it comes to food! Hang Me Me is one of the best restaurants in Hue to try banh beo , banh cuon, and banh ram-it. Tai Phu is one of the best restaurants in Hue to try the famous grilled pork noodles. It’s a very simple establishment, and more popular with locals than with tourists. Definitely one to add to the list! Another simple-looking establishment, Com Hen Ti Hon is one of the best places in Hue to eat the iconic dish com hen. The clue is in the name – and the restaurant does their signature dish very well! The Hoan Tien stall on Nguyen Hue Street is recommended by the awesome I Love Hue tour company as one of the best places to try banh khot. Head here for your mini pancake fix! I headed to Bun Bo Hue Quan Cam following a recommendation from two of my favourite food bloggers – 2 Food Trippers. This is considered one of the best places to try Bun Bo Hue, and it did not dissappoint. They only open for a few hours in the morning, and when the soup runs out, they stop serving! So go early if you can – I arrived at about 9am and got one of the last bowls. Bun Bo Hue Quan Cam. 38 Tran Cao Vân. Dong Ba Market. 2 Tran Hung Dao. See if you can find the stall Anthony Bordain uncovered! Bun Bo Hue Ba Xuan. 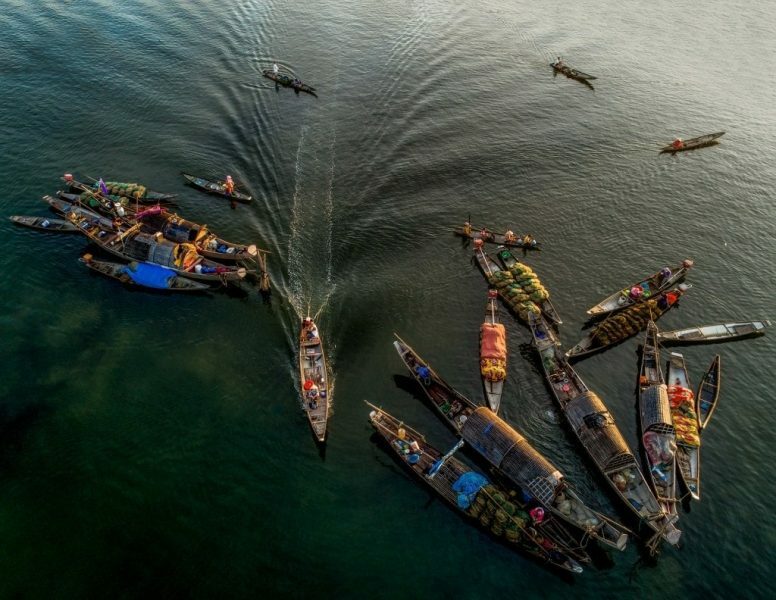 17 Ly Thuong Kiet. Popular with locals on TripAdvisor! Bun Bo Kinh Moi. 17 Ly Thuong Kiet. Recommended by I Love Hue tour. Bun Bo Hue O Cuong Chu Diep. 6 Tran Thúc Nhan. Bun Bo Di Bup. 68 Tran Quang Khai to 7. Bun Bo Ba Nga. 105 Đuong Xuân 68. Bun Bo Ong Vong. 07 Nguyen Du, Phú Cát. Have you been to Hue or Central Vietnam? Let me know in the comments – and feel free to share any iconic dishes I’ve missed!